It all began quite normally for a Caturday. We kitties were enjoying the sun puddles and whiffs from open windows while the humans were out in the yard. Though spring is taking its sweet time, mom had brought in cuttings off the peach tree that dad had trimmed, and the warmth of the house promoted bloomage. Allie was ecstatic. 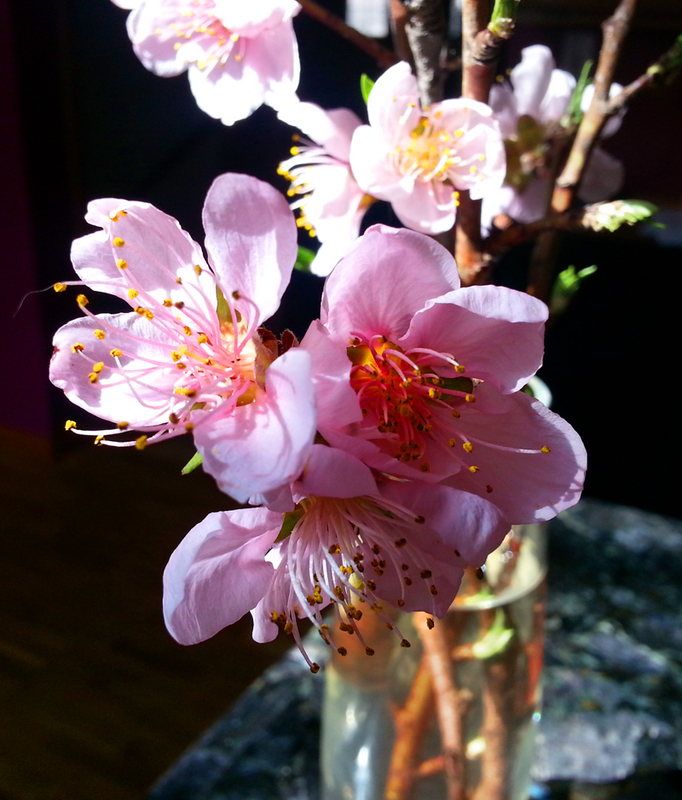 They were pink, after all. We hear Allie's doing quite well in therapy. 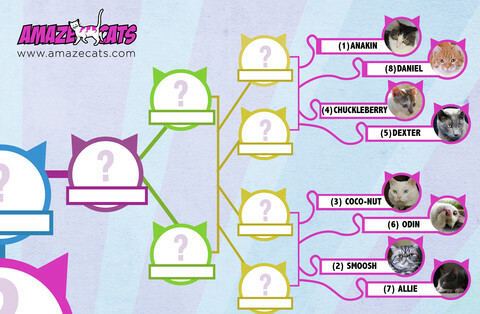 And we know what would soothe her frayed nerves, too - a vote for her in tomorrow's Next Top Cat bracket playoff. The competition is fierce, true. But they don't know Allie. 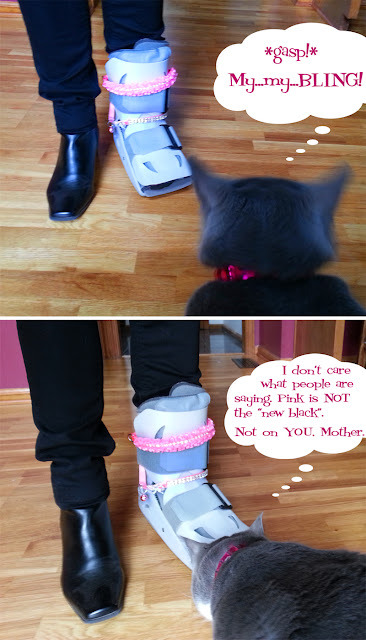 You simply do not come between a cat and her pink. Here's the link! Please take 5 seconds to vote tomorrow? The polls open Monday April 8 and close at 2 PM EST on Tuesday, April 9. What in the world happened to your Mom's foot?!?!?!?!? Momma has nerve/soft tissue damage that is healing, so doc sez 4-6 weeks in boot. She's not thrilled. But if it avoids surgery & takes away the pain, she's down with it. We boyz got the idea for the post when the peeps at her work told her she should bling it up a bit. Allie, it is almost enough to make us join Facebook. We wish you the best! And what happened to Mom's foot? Oh, we just read your answer above. Sending many purrs for good healing for the nerves and soft tissue damage. 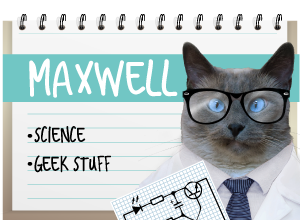 You kitties help out by behaving well, OK? EEEK....what happened to your Mom?? Well that weird thing on your mom's foot needs some bling, Allie. But she should definitely get her own bling and not use yours. We hope her foot feels better soon. Oh Allie! Me will goes and votes - when Mommy and Daddy gets home from their course! Pink Girls UNITE!!! ....except for your crazy mother. Like Glogirly, she ought to just stick to black. Tell her that black is the new black and to keep her mitts off our pink. 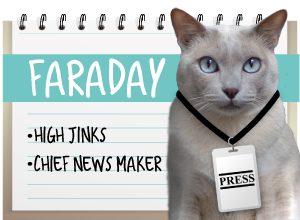 Don't you worry your furry little head, we'll be paying a visit to the AmazeCats polls. I hear that *gasp* Gloman may even make a rare Facebook appearance in order to cast a vote. Hey, your human is not allowed to do that! Let her find her own bling! I will be supporting you and Odin both in tomorrow's AmazeCats bracket... it kills me that you two are competing against each other! And my human too, because she knows both your and Odin's human (IRL, even!) and likes you both very much! Well, if you're gonna be in that cast for 4 - 6 weeks, you might as well have some fun with it! We're waiting for the voting to start so we can cast our *pink* vote! Youch! Mom deserves some bling for her broken paw...Maybe it's me but when I clicked on the link the page I was sent to did not have a place to vote...help! 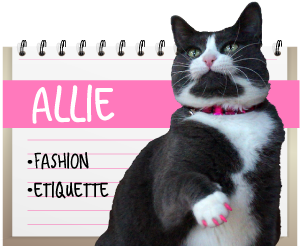 checked back again and the voting thingie was up...Another vote cast for Allie! Allie...your mommy has a big ow-ie, she's just borrowing your bling for a little while,it will make her think of you and smile. Perhaps you need to add some more..maybe a bell so you know where she is at all times? Does she have to wear the 'collar of shame' too so she doesn't gnaw on her foot? Disclaimer: I'm being nice and polite today 'cos I have to...I promised. Don't ask why. We want to see Mom's collar of shame!!!! Don't worry Allie, it can't last forever..